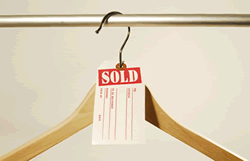 This Regular Price/Our Price tag offers a slit for over-the-hanger applications. • Tag has a hole and slit for multiple applications. 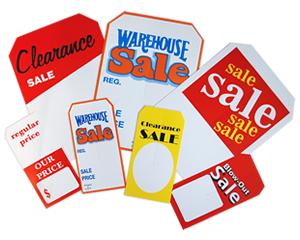 • Durable 12-point cardstock resists tearing. • Coated cardstock has a pen and pencil receptive surface which is resistant to smudging.